Original Optional equipment is as follows: 97ABA1 Panamera 4 89,600.00 2H Volcano Grey Metallic 830.00 AB Standard Interior in Black 0.00 2ZH Steering Wheel Heating 280.00 44F 21 Exclusive Design Wheels in Silver Platinum 4,210.00 4D3 Seat Ventilation (Front) 840.00 6JG Door Handle Inlays Painted 130.00 9WU Preparation for Rear Seat Entertainment (PRSE) i.c.w. Connec 420.00 GZ2 Soft Close Doors 780.00 Q02 All-Season Tires for 21 Wheels 470.00 QE1 Storage Package 0.00 QH1 Voice Control 0.00 P50 Premium Package 3,860.00 .....Lane Change Assist (LCA) 0.00 .....Comfort Access 0.00 .....9VL BOSE(R) Surround Sound System 0.00 .....Q2J Power Seats (14-way) with Memory Package 0.00 Total Retail Vehicle Price 101,420.00 Delivery, Processing and Handling Fee 1,050.00 Total Retail Price 102,470.00 This Porsche Panamera delivers a Intercooled Turbo Premium Unleaded V-6 3.0 L/183 engine powering this Automatic transmission. Window Grid Diversity Antenna, Wheels: 19 Panamera -inc: 9.0 x 19 front and 10.5 x 19 rear, dual-arm 5-spoke design, Wheels w/Silver Accents w/Locks.This Porsche Panamera Comes Equipped with These Options Valet Function, Underhood And Cargo Space Lights, Trunk/Hatch Auto-Latch, Trip Computer, Transmission: 8-Speed Porsche Doppelkupplung (PDK), Transmission w/Driver Selectable Mode, Sequential Shift Control w/Steering Wheel Controls and Oil Cooler, Towing w/Trailer Sway Control, Tires: P265/45ZR19 Fr & P295/40ZR19 Rr, Tire Specific Low Tire Pressure Warning, Tailgate/Rear Door Lock Included w/Power Door Locks.Visit Us Today Come in for a quick visit at Mercedes-Benz Porsche of Lehigh Valley, 3401 Lehigh St, Allentown, PA 18103 to claim your Porsche Panamera! Customers currently leasing a competitive vehicle (contracted as New, Demo or Pre-owned) who lease or finance an eligible new MY18 718 Boxster, 718 Cayman, or Panamera model will receive a “Welcome to Porsche” Credit equivalent to the value of up to 3 payments (at a maximum of $1,500/payment) based on their existing competitive lease. All new, untitled MY18 718 Boxster, 718 Cayman, and Panamera vehicles which meet the standard PFS vehicle eligibility requirements as applicable and the specific vehicle eligibility requirements of the finance or lease program utilized. Customers with a currently active competitive (non-Porsche of any make) lease contracted as a new, demo or pre-owned vehicle (as detailed by their existing lease agreement). Note: If competitive lease vehicle is pre-owned, term of competitive lease agreement must be 24 months or greater and vehicle must be MY2009 or newer. To be considered active, the customer must have at least one payment due as of the contract date for the eligible new Porsche model. Active status is determined by the PFS contract date being greater than 30 days from the original maturity date of the competitive lease. Competitive leases that have been extended beyond the original maturity date are not eligible. Payoff, trade-in, or return of the existing competitive lease is not required except if the competitive lease is 181 days or more from the maturity date. However, current PFS credit guidelines apply as applicable to each transaction. Competitive single pay leases are eligible. The amount of the monthly payment credit is calculated by taking the single pay payment amount divided by the term of the competitive lease agreement (maximum of $1,500/payment). We're excited to offer this impressive 2019 PORSCHE PANAMERA . .97ABA1 Panamera 4 $90,900.00 W5 Burgundy Red Metallic 830.00 PK Standard Interior in Black/Luxor Beige 390.00 0P6 Sport Tailpipes in Black 950.00 1N3 Power Steering Plus 280.00 1NP Wheel Center Caps with Colored Porsche Crest 190.00 44E 21 911 Turbo Design Wheels 4,830.00 6JA Door Handles in High Gloss Black 350.00 8T3 Adaptive Cruise Control (ACC) 2,890.00 Q02 All-Season Tires for 21 Wheels 470.00 QJ4 Window Trim in High Gloss Black 400.00 VR4 SportDesign Side Skirts 1,290.00 P50 Premium Package $3,860.00 .....Lane Change Assist (LCA) 0.00 .....Comfort Access 0.00 .....9VL BOSE(R) Surround Sound System 0.00 .....Q2J Power Seats (14-way) with Memory Package 0.00 Total Retail Vehicle Price 107,630.00 Delivery, Processing and Handling Fee 1,250.00 Total Retail Price 108,880.00Stop By Today Come in for a quick visit at Mercedes-Benz Porsche of Lehigh Valley, 3401 Lehigh St, Allentown, PA 18103 to claim your PORSCHE PANAMERA! This Porsche Panamera Features the Following Options 97ADB1 Panamera 4S 103,000.00 F0 Dolomite Silver Metallic 830.00 BB Leather Interior in Black/Bordeaux Red 4,320.00 0P6 Sport Tailpipes in Black 950.00 0PA Preparation for Deletion of Model Designation 0.00 1N3 Power Steering Plus 280.00 2ZH Steering Wheel Heating 280.00 43U 21 SportDesign Wheels Painted in Jet Black Metallic 5,110.00 5ZF Porsche Crest on Headrests (Front and Rear) 500.00 6FH Exterior Mirrors Painted in High Gloss Black 550.00 6JA Door Handles in High Gloss Black 350.00 7V2 Central Tachometer in Bordeaux Red 420.00 8SI Tinted LED Taillights 840.00 8T3 Adaptive Cruise Control (ACC), Porsche Active Safe (PAS) 2,890.00 9JB Smoking Package 0.00 AAV Model Designation Painted 220.00 FI6 Seat Belts in Bordeaux Red 660.00 QE1 Storage Package 0.00 QH1 Voice Control 0.00 QJ4 Window Trim in High Gloss Black 400.00 P51 Premium Package Plus 6,250.00 .....Comfort Access 0.00 .....Soft Close Doors 0.00.....Lane Change Assist (LCA) 0.00 .....Seat Heating (Front and Rear) 0.00 .....9VL BOSE(R) Surround Sound System 0.00 .....4D3 Seat Ventilation (Front) 0.00 .....Q2J Power Seats (14-way) with Memory Package 0.00 .....8IS LED-Headlights incl. Porsche Dynamic Light System (PDLS) 0.00 Total Retail Vehicle Price 127,850.00 Delivery, Processing and Handling Fee 1,250.000 Total Retail Price 129,100.00Visit Us Today Come in for a quick visit at Mercedes-Benz Porsche of Lehigh Valley, 3401 Lehigh St, Allentown, PA 18103 to claim your Porsche Panamera! This Porsche Panamera Features the Following Options 97ADG1 Panamera GTS 128,300.00 U2 GT Silver Metallic 3,310.00 BK Leather Interior in Black/Chalk 530.00 1N3 Power Steering Plus 280.00 1XE Heated Multifunction Steering Wheel in Anthracite Birch 330.00 2D5 SportDesign Package Painted in High Gloss Black 420.00 43U 21 SportDesign Wheels Painted in Jet Black Metallic 2,450.00 5MB Interior Trim in Anthracite Birch 0.00 6JA Door Handles in High Gloss Black 350.00 8A4 ParkAssist (Front and Rear) incl. Surround View 1,200.00 Q02 All-Season Tires for 21 Wheels 330.00 QE1 Storage Package 0.00 QQ1 Ambient Lighting 500.00 P51 Premium Package Plus 4,510.00 ....Comfort Access 0.00 ....Soft Close Doors 0.00 ....Lane Change Assist (LCA) 0.00 ....Seat Heating (Front and Rear) 0.00 ....15 9VL BOSE(R) Surround Sound System 0.00 ....8IU LED-Matrix Design Headlights incl. PDLS+ 0.00 P55 Assistance Package 5,370.00 ....Night Vision Assist 0.00 ....Porsche InnoDrive incl. Adaptive Cruise Control (ACC) 0.00 ....Lane Keep Assist (LKA) incl. 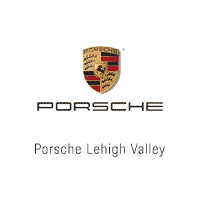 Traffic Sign Recognition 0.00 Total Retail Vehicle Price 147,880.00 Delivery, Processing and Handling Fee 1,250.00 Total Retail Price 149,130.00Stop By Today Test drive this must-see, must-drive, must-own beauty today at Mercedes-Benz Porsche of Lehigh Valley, 3401 Lehigh St, Allentown, PA 18103.